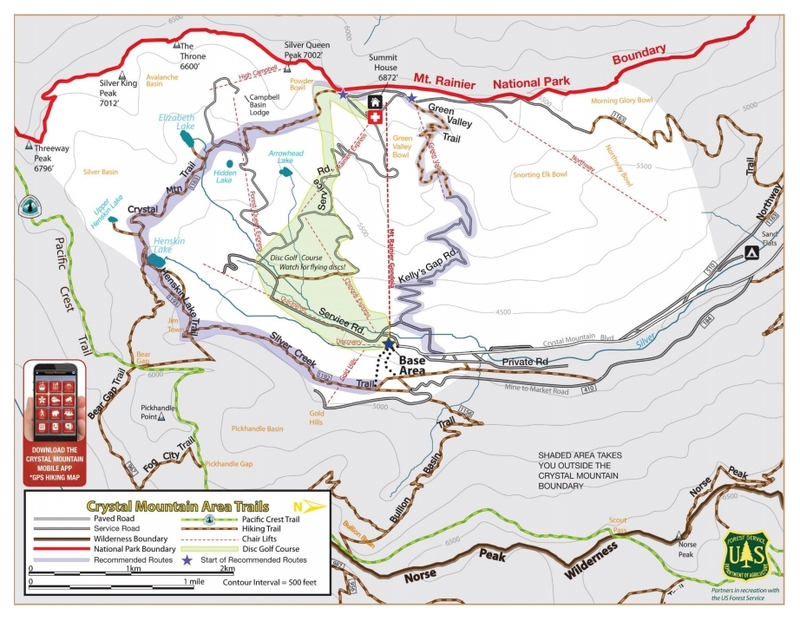 One of our favorite places to go Camera Walking in Western Washington is Crystal Mountain. 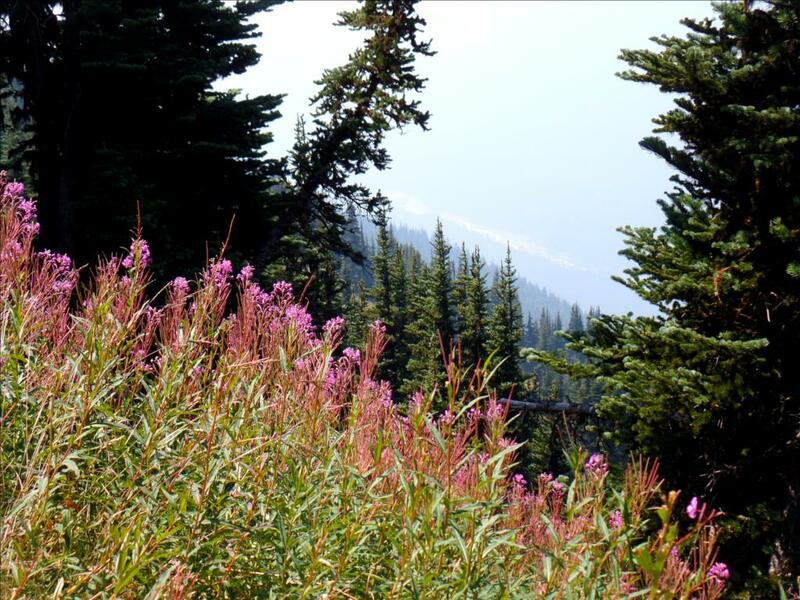 This area is one of the greatest destinations in the state to see Mount Rainier. 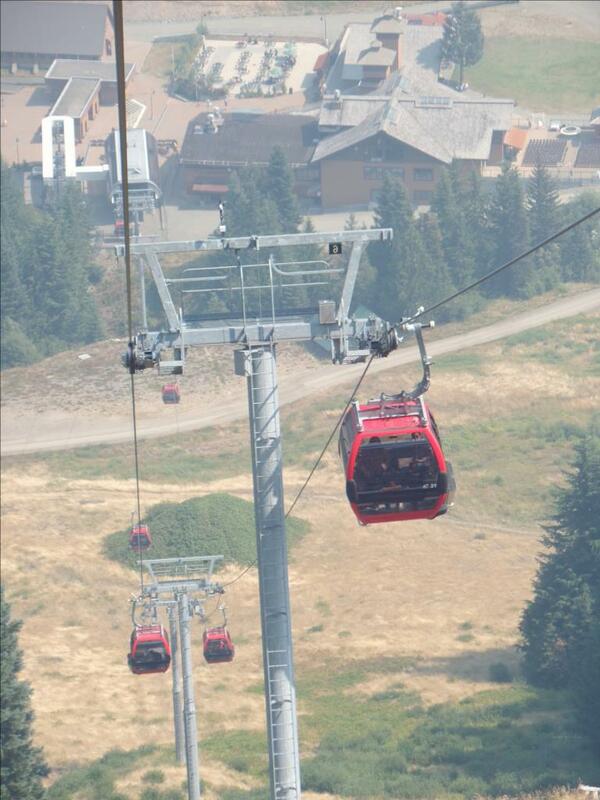 The view truly allows you to “almost touch” the top of the mountain! 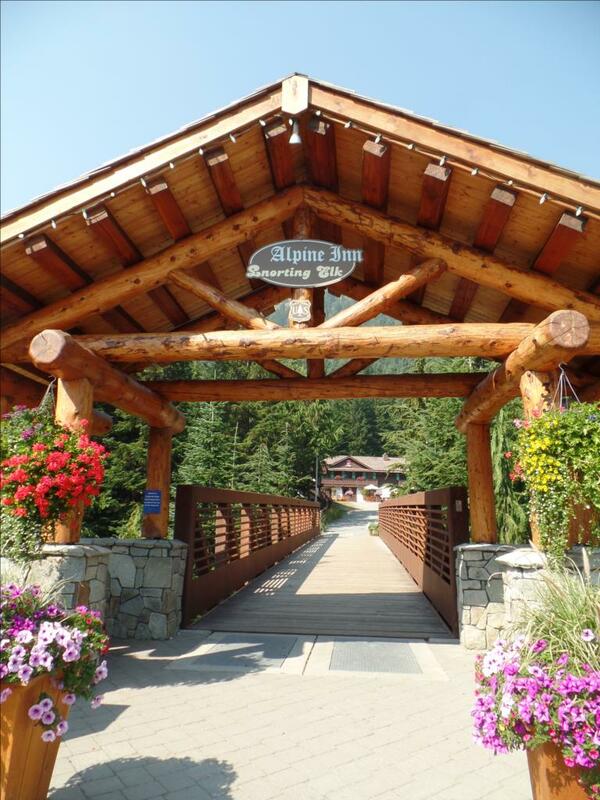 There are lots of trails throughout the Resort. 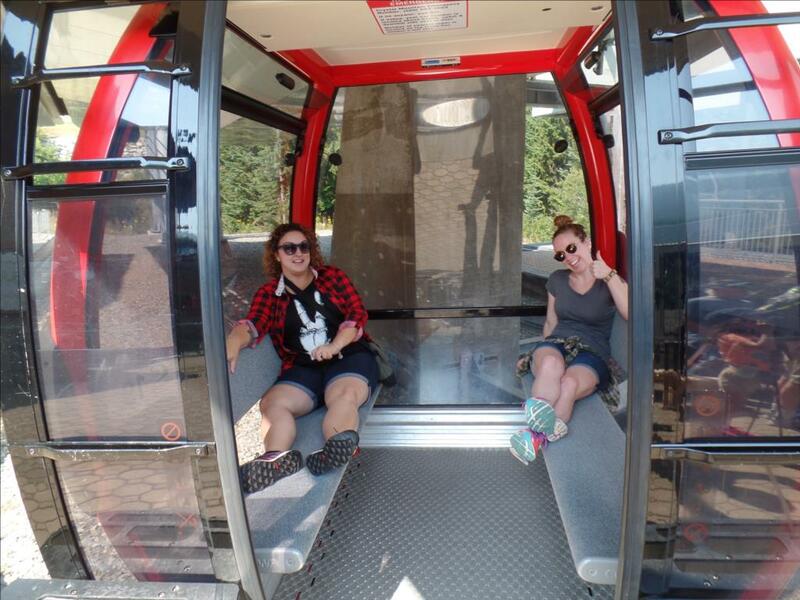 The best adventure for a day hike is to ride the Gondola to the top. 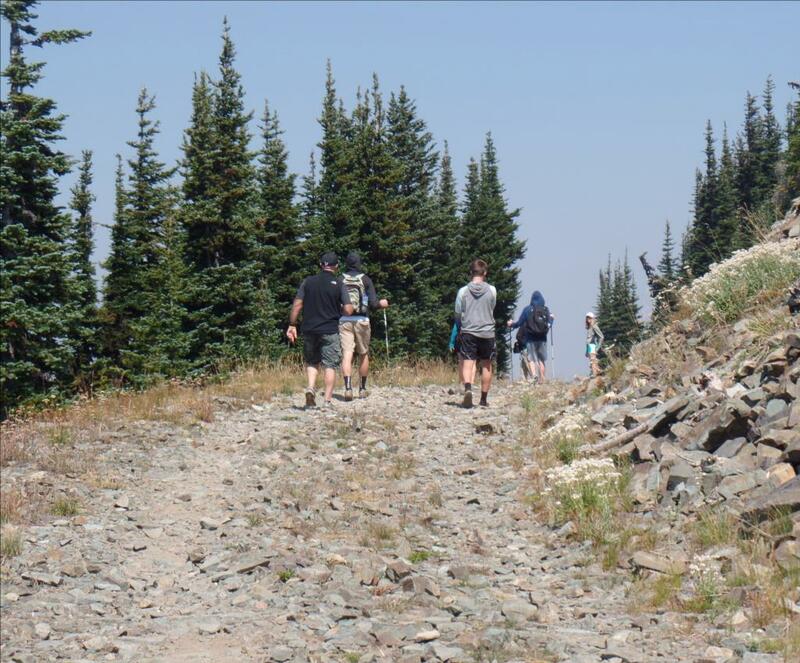 From there you can take off for short hikes along the upper boundaries of the winter ski area, or take one of the longer hikes that take you back down the mountain through high-country trails, past lakes, and through meadows. We spent this weekend on the mountain and learned a great deal about Air Quality, how it can change rapidly, and what effect it has on a simple walk. With all the wildfires in Eastern Washington, the air quality for the entire state has suffered. 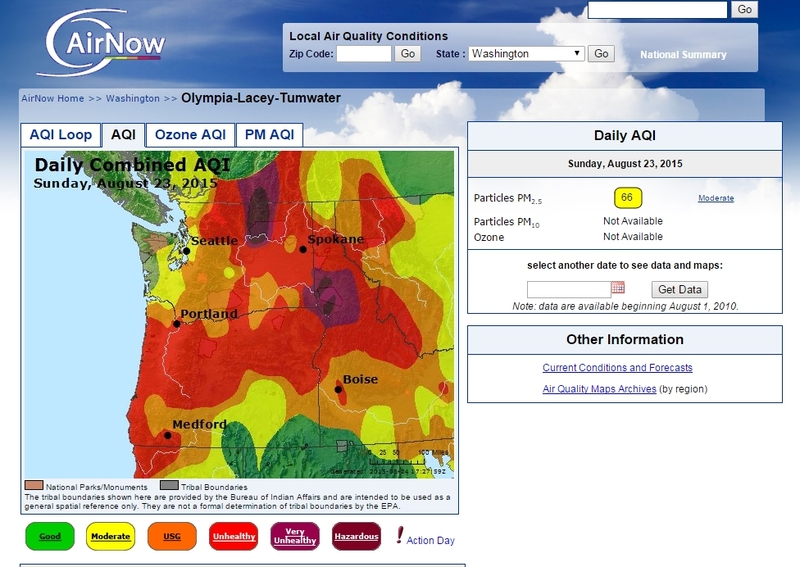 I checked out the air quality site, Air Now, and took a look at the change in just one day for our state. It is amazing how quickly it can change. While we are effected by smoke here, it is hard to imagine the struggles the firefighters and the citizens in the fire zones are experiencing. We desperately need rain and lower temperatures to ease the situation! Please keep our firefighters safe! As we rose out of the valley, the smoke was more intense. By the time we reached the top, this was the view of Mt. Rainier. 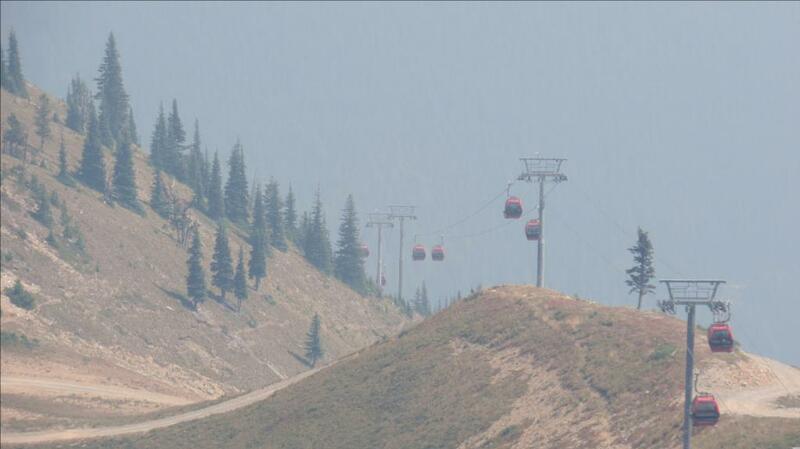 Looking back at the Gondola coming over the summit, we all realized we were wrapped in smoke. 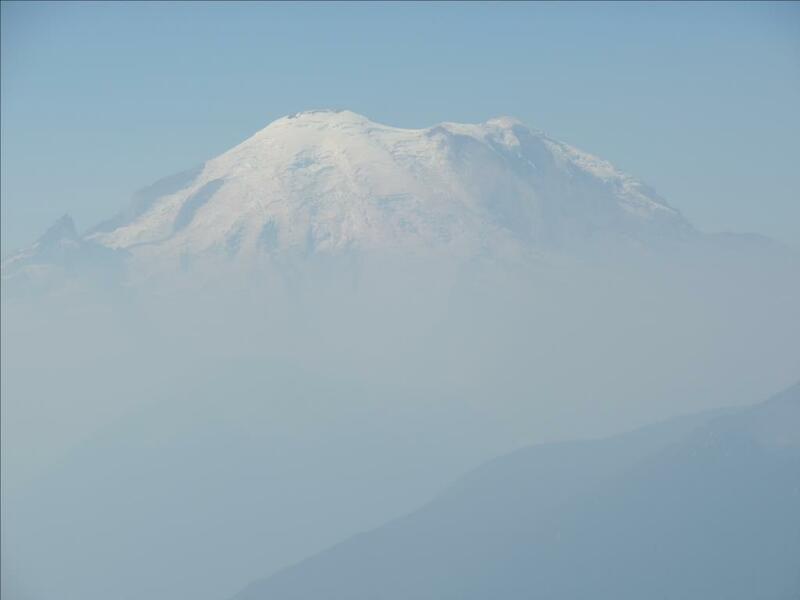 The air quality was definitely diminishing, the longer we remained at the 6,500 foot level. While there were lots of hikers, the further we went, we found our eyes and lungs feeling the smoky atmosphere. Looking down the valleys was very stark. I caught some color that brightened up the haze, but those shots were very rare! 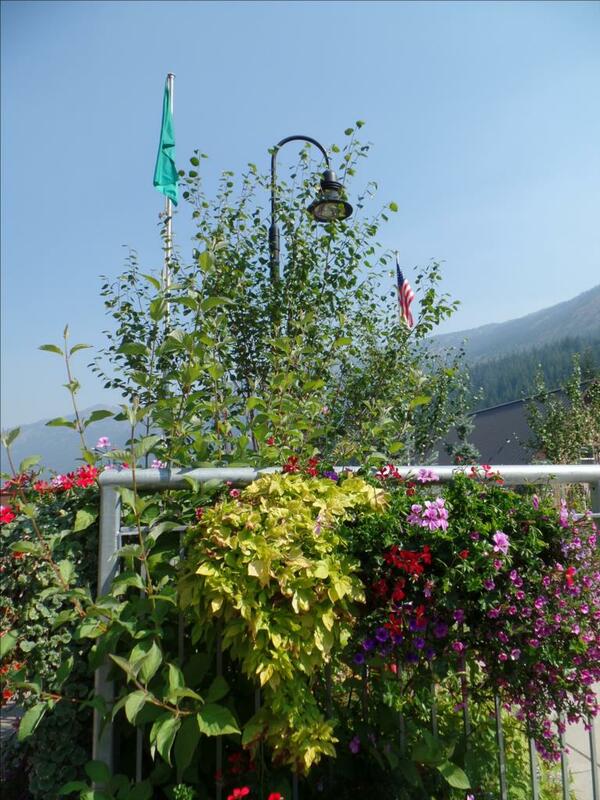 And a shot of the mountain with the green trees in the foreground really said it all. Breathing this air cannot be good! 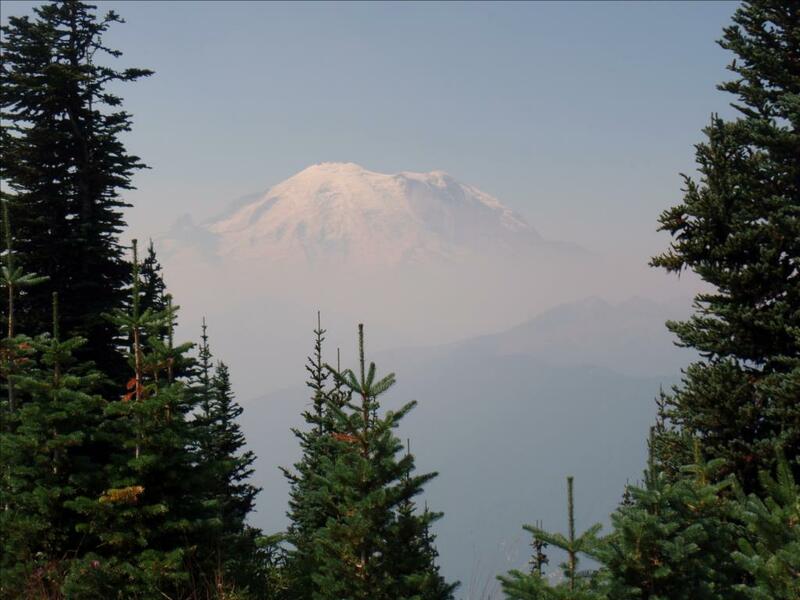 In researching information on air quality, I found two very helpful sites for our region. The Department of Health has excellent information on the smoke from wildfires and clearly explains the health hazards of breathing this air. 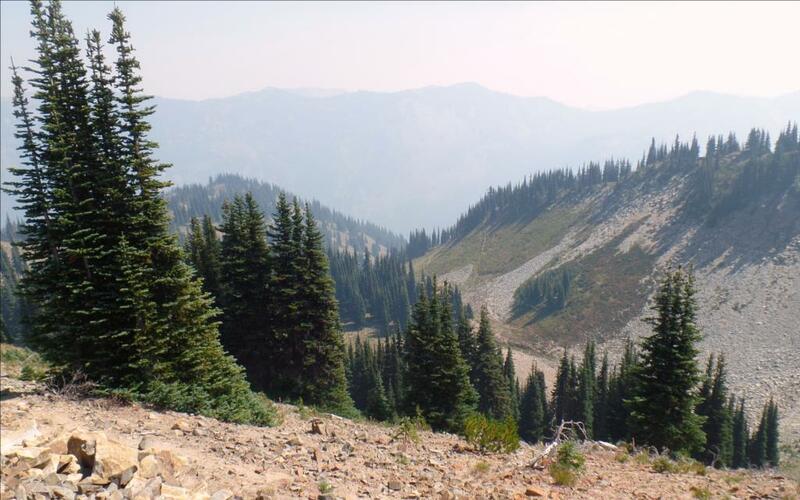 Washington Smoke Information has a blog showing all the wire fires and talks about the smoke that gets into the atmosphere. There is a great deal of information on this site that is well worth reading. 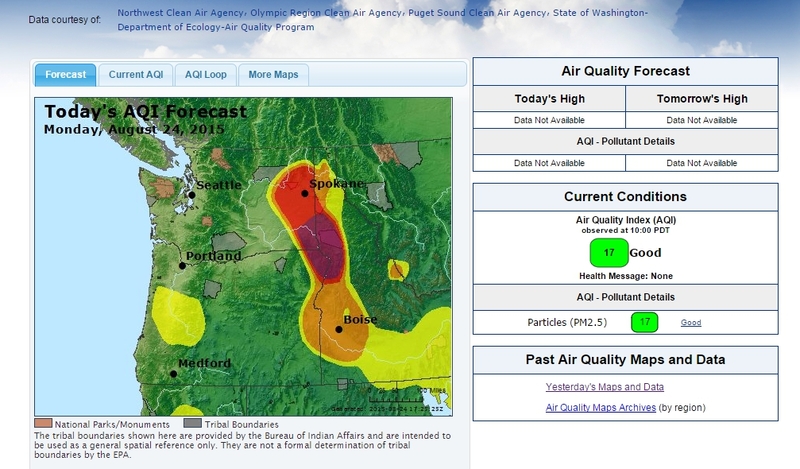 We want to emphasize that you DO need to consider the air quality before you head out. Our walks this past weekend were really not the best idea and the smoke just kept getting worse. While we want you to get out and move, some days can be a real challenge! 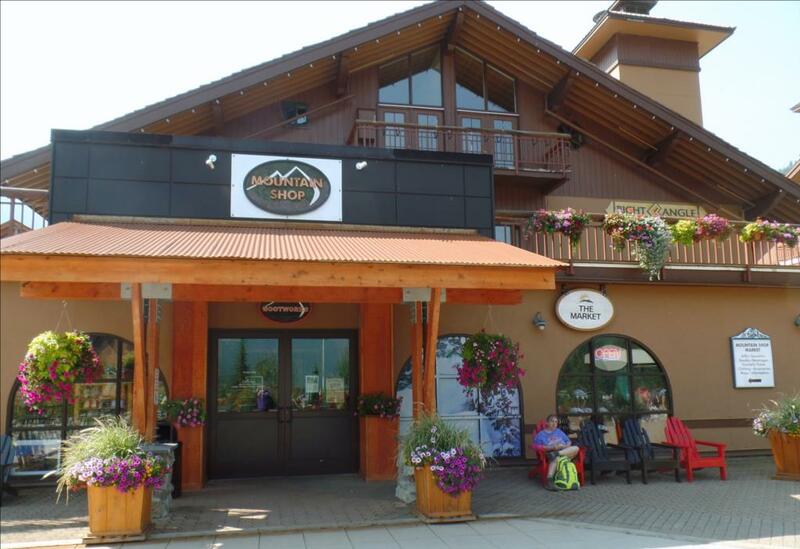 The best tourist attraction in Washington State! 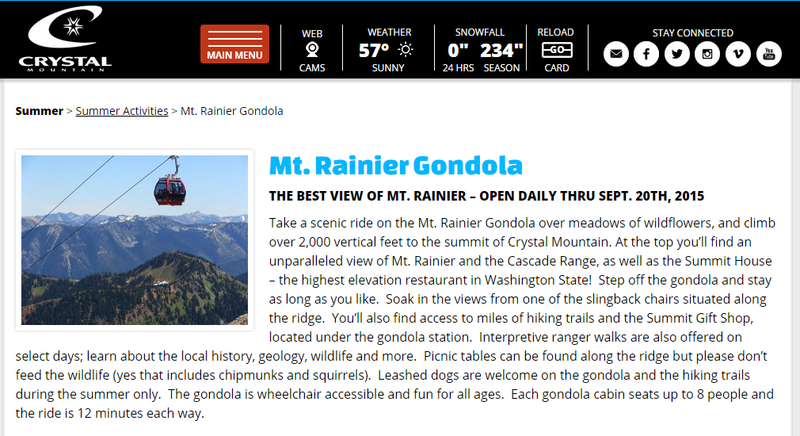 We leave you with this idea for a great Camera Walking adventure…On the next clear day, be sure to leave work and head for the hills… a trip to Crystal Mountain is so amazing…you can spend a day or stay for several…you will not be disappointed! 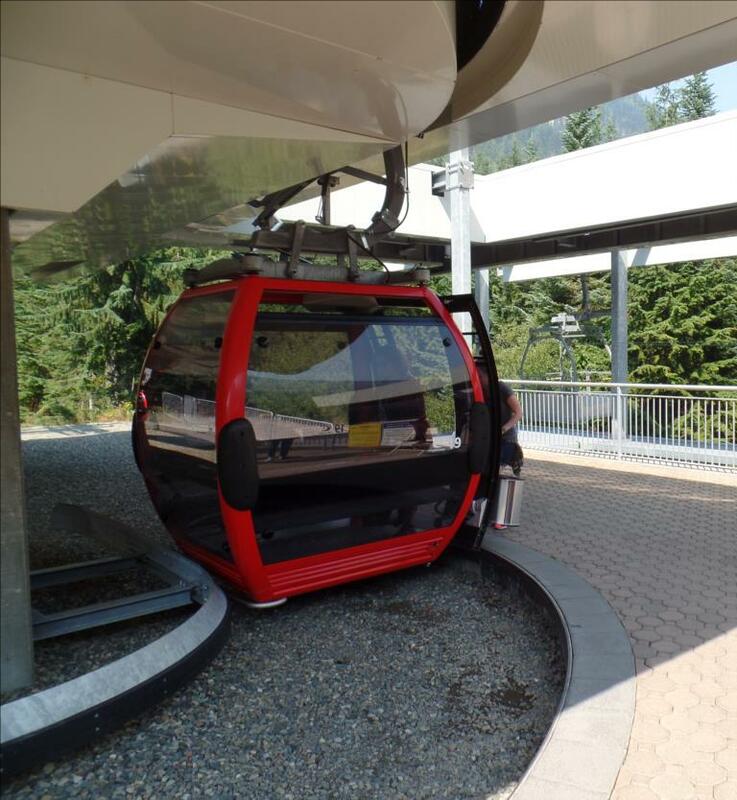 This entry was posted in Uncategorized and tagged Air Quality, CameraWalking, Crystal Mountain Resort. Bookmark the permalink.